Have you started your spring cleaning yet? It’s important to do more than simply dusting and cleaning surfaces. There are other parts of your home that need your attention, so we put together a home maintenance to-do list that you should complete in April. As always, we refer to Tarion Warranty Corporation for a detailed monthly home maintenance checklist. A few of the tasks in April are things you should have done in March, like cleaning your furnace filter and heat recovery ventilator, cleaning your humidifier, checking and resetting your GFCI, and of course, testing your smoke alarms and carbon monoxide detectors. Many of the home maintenance tasks you should do in April are things you should do once the snow has for sure stopped for spring. More details below! This is also a pretty common home maintenance task, but one that requires constant reminders because homeowners rarely get it done. Over the winter, your eavestroughs collected debris. Now that the rainy season is here, you want to make sure the rainwater can flow smoothly away from your home. When checking the downspouts, make sure they’re not blocked and that they are directing water clearly away from your home’s foundation. 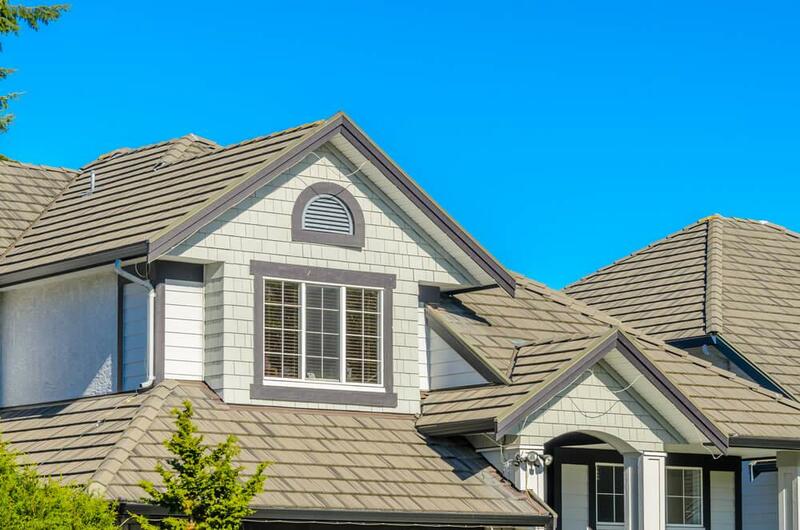 If you’re comfortable on your roof, check for cracked and loose shingles. Now that there’s no more snow in the forecast, you can get a roofer to come out and make any repairs before all the rain hits. NOTE: Always exercise caution when inspecting your roof. Have a spotter whenever you’re using a ladder, and if you feel uncomfortable with heights, eyeball your shingles from afar and hire a professional if you think a closer look is required. The freezing temperatures can cause cracks in your home, which allows moisture to enter. Check your basement and crawl spaces for moisture. You want to catch this early to prevent mold from growing. Your water heater probably worked pretty hard through the winter months. While you’re doing your basement walkaround, take a look at your water heater to make sure there’s no water pooling. If you notice water on the ground near your water heater, it’s time to call a professional. If you followed our home maintenance tips for October, then your exterior water supply should be shut off. Now’s the time to turn it back on! Temperatures are consistently above freezing and you’re going to want to get your lawn looking healthy again. If you’re considering making any major landscaping changes, it’s time to start finalizing your plan. Getting to work as early as possible in the season allows you to enjoy your outdoor space for longer. When the earth under your driveway collects moisture and freezes, the ground shifts. This can cause cracks in your driveway. As you may be aware, cracks in your driveway are normal, they just need your attention so that the cracks don’t get worse. We recommend hiring a professional to fill the cracks in your driveway. Good luck completing all these home maintenance tasks this month!